Legendary fantasy illustrator Frank Frazetta has died from a stroke at a hospital near his home in Boca Grande, Florida. Frazetta was 82. I saw my first Frank Frazetta paintings in 1987 at my first San Diego Comic Con...absolutely beautiful paintings. It would take another 22 years before I would see another one. 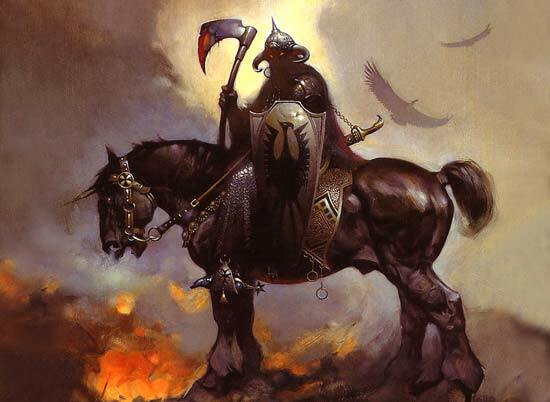 Above is a picture of his most famous painting "DEATH DEALER" ...which also happens to be my favorite Frazetta painting. Rest in peace Mr. Frazetta.